A Spot of Bother: Jack the Ink-Slinger Jack the Ink Slinger threw violet ink on ladies’ dresses in the dark. Any successful sensation has imitators. Jack the Ripper’s reign of terror inspired a series of copy-cat killers. His name, which may have been coined by a journalist in a hoax letter to the police, was irresistible to journalists covering social panics at the turn of the century and beyond. There was Jack the Kisser, Jack the Smasher, Jack the Nipper, and, one of strangest: Jack the Ink-Slinger. Despite the detectives “Jack, the Ink Slinger,” continues to be a mischief maker. He spent the early part of Sunday night in Brooklyn, as told in the Herald, but later on he fell back on his old stamping ground in the Twenty-second ward. The violet ink which he has been in the habit of throwing upon the dresses of good looking young women he has now discarded for a blue black fluid. Mrs. M. Lange, the wife of a travelling salesman, occupying a flat at No. 452 West Fifty-seventh street, has been the latest object of his attack. As Mr. and Mrs. Lang were going down Ninth avenue Sunday night they met the ink slinger. They describe him as being a slim young man, dressed in a Prince Albert coat, light trousers and wearing a soft felt hat. There was no suspicion at the time that the stranger was the man for whom the entire detective force has been on the hunt. When Mrs. Lang reached home she found that her dress skirt had been ruined by a blue black fluid which had evidently been squirted upon it from a syringe. Caught at Last, While Following Two Women. Had in His Pocket a Bottle of Violet Ink and Three Corked Clay-Pipe Bowls Filled With the Fluid. “Jack the Ink-Slinger,” that peculiar species of man who has been proving a terror to the residents of Captain Killilea’s precinct, was captured at midnight last night by Policeman Walter M. Stafford, of the West Forty-seventh-street Station. Policeman Stafford was standing in the shadow of a doorway at the corner of Fifty-ninth street and Ninth avenue when two ladies walked by on the lower side of the street. Immediately thereafter a man dressed in shabby clothing, wearing an old Derby hat, gray with age, stepped from a doorway and followed the couple. One of the ladies had a handsome white dress on, and it was evidently that which attracted his eye. He walked slowly about three feet behind the women, the policeman following close behind. At Fifty-fourth street and Ninth avenue and the ladies turned east and the “ink slinger” stood on the corner and apparently waited for a victim. Then the policeman closed in on the man and arrested him. His hand at once sought his pocket, but before he could draw anything out the policeman seized his hand and held it. The prisoner was taken to the West Forty-seventh-street police station where he was carefully searched. A bottle of violet ink was found, and also three pipe bowls. There were made of clay and carefully corked. They were all filled with ink, the process being to draw the cork and throw the contents of the bottle over the dress, recork the bottle and go down a side street to refill. BADLY SCARED The prisoner was badly frightened, but said he had taken the bottle and pipe-bowls from his little boy, thinking that the latter might do some damage with them. His clothing and hands were stained with ink and his pockets were wet with the fluid. The prisoner was shown to the platoon of men, one of whom recognized him as an employee of the Ninth-avenue car stables. He gave his name as John Connors, aged 33, of No. 443 Fifty-second street. He said he was married, and offered the policeman $20 to let him go. Sergeant Dunn and Chapman did the town last night searching for the man and smile of gladness pervaded the atmosphere of the station house over the arrest. Both Sergeant Kear and Doyle have worked hard looking for him. And Captain Killilea has worn numerous pairs of shoes to the ground in walking the precinct looking for the scoundrel. He recently offered any policeman who should capture Jack the Ink Slinger $20 in cash and a day off. Usually the “ink slinger” did his work by night, but not always. His last field of operation was along Ninth avenue, between Forty-ninth and Fifty-ninth streets. It is probably, however, that he is the same man who, in broad daylight, threw a brown fluid upon the skirts of ladies on the stairs of the Twenty-third-street Station of the Sixth-avenue Elevated Railroad. The experience of Mrs. James Sennett, who lives in Flat No. 12, at the south-west corner of Fiftieth street and Ninth avenue, was perhaps the most grievous. She had bought for Easter an “old rose” robe of elaborate design and costly material. Several weeks ago she wore the dress to go calling with her husband. On their way home a short, rough-looking man brushed against Mrs. Sennett at the corner of Fifty-fourth street and Ninth avenue. She thought nothing of it at the time. Upon reaching the light of her apartments Mrs. Sennett discovered that the back of her skirt, from the waist down, as well as a part of the bodice, was blotched with large purple stains. So penetrating was the fluid that it had passed through the tissues of cloth to her undergarments. Later investigation further showed that the dye was absolutely indelible. Next morning upon the flagging of the walk on Ninth avenue at Fifty-fourth street, where Mr. and Mrs. Sennett had been brushed against, were numerous purple stains. Mr. Sennett at once reported the occurrence to Captain Killilea of the Forty-seventh-street Police Station. The next case scarcely less aggravated, was that of Miss Tilly Horn, of No. 726 Ninth avenue. Attired in a neat new brown dress she made a call with another young lady upon acquaintances on Fifty-ninth street. She and her companion are neighbors, almost in adjoining houses, and they walked home together. Upon entering the house her big brother grasped her in his arms and gave her a playful hug. At her loud complaint of the peril of her fine new clothing by such rudeness her brother released her. He started back with his hand and arm stained crimson. There was a temporary flurry over a first thought of blood, and the discovery was then made that the bodice and skirt of Miss Horn’s dress was drenched in great splashes with a red dye. Mrs. Sennett. Unfortunately Miss Horn and her friend were not aroused to suspicion of any one upon the street. Since that time “Jack the Ink Slinger.,” has been making active use of his opportunities. But Her Story Is Different from His, and He Is Remanded—He May Be Mildly Insane. There are times for women’s weeping and times for women’s smiles, and the time has come at last, thanks to the prescience of good Policeman Walter M. Stafford, when women can walk about again attired in their best gown and feel no fear, for the famous Jack the Ink Slinger sees life as through a grating darkly. And that is why the women smile. If every woman’s husband in the neighborhood that surrounds Captain Killilea’s station house had drawn a high prize in the lottery she could not have rejoiced more vividly than she did yesterday when she read in the Herald that this infamous jack was in limbo at last. There was a huge crowd in the Yorkville Police Court yesterday morning when Police Justice O’Reilly looked over his glasses and stared long and earnestly at a queer little unkempt figure which stood before him, twirling a battered and seasoned derby. The ink slinger was glancing all ways at once with restive, shifting eyes, and did not give the Justice one square look throughout the brief proceedings. He had a head bearing more the conformation of a toadstool than I would care to wear, and his weak chin was grizzled with a two days’ growth of beard. His cheeks were sunken like those of an aged Chinaman and his cheek-bones were high and prominent. His nose was straight and his sunken eyes deep blue. He answered to the name and title of John Connors, stableman. Not far away sat a poor, pretty little woman with a babe in her arms and three shabby tots beside her. Poor little things. They were Mrs. Jack Ink Slingers and the little jack Ink Slingers, come, if possible, to cry their husband and father out of custody. “What have we here?” inquired the Justice, not comprehending at the moment that a historical character stood before him. “The Ink Slinger,” and then the policeman proceeded to relate the story—told in yesterday’s Herald—of how he came to follow and apprehend Connors, catching him not in exactly the act of villany, but with the deep dyed proofs in his pockets and generously saturating his clothing. When asked what he had to say John Connors told the gauzy tale which he had given to the police the night before—that his little boy had been in the habit of making a plaything of aniline ink and pipe bowls and he had taken them away from him lest the child do mischief with them. He did not tell the story with much fluency, and he looked very anxious to try the calibre of his legs when the officer, taking up one of the inky pipe bowls, illustrated how he had made a bottle of it, and pulled the cork in time to spill the contents over dresses that offended the eye of the aesthetic stableman. Mrs. Connors was called and told the Justice that she did not believe her husband was the ink slinger. She had very often searched his pockets, she said, and never found any ink or pipe bowls in them. When asked the night before she had strenuously denied that her boy ever played with anything of the sort, and as she could not reconcile one story with another her ‘alibi” of the utensils of mischief was weak. This point was pressed upon her and she ended by denying that her children ever had any ink to play with. Then she declared that her husband had been acting queerly and she gave the impression that he had not been of much comfort to her of late. Then Justice O’Reilly looked through his spectacles and said that as the police had failed to bring any complainants who had suffered from the fellow’s mischief he would remand him in the care of the police until Sunday morning at nine o’clock. Meanwhile it would be a good plan to try and get a positive identification. So Mr. Ink Slinger was taken back to the station house in West Forty-seventh street, and notes were sent to the various sufferers asking them to call and take a look at him. During the afternoon several of the ladies whose gowns were injured called. Jack did not wish to see them evidently, for he had to be roughly ordered to stand up and face them before he would consent to do so. None of them could positively state that he was the man who had roughly jostled them, though they thought he very well might be. In fact, a positive identification can hardly be hoped for, but it seems scarcely necessary in view of the very strong chain of circumstantial evidence that can be woven about him. But whether he most deserves the year in the Penitentiary which can be given him for malicious mischief or a place in an insane asylum is a question in which I think the doctors would not hesitate long. Connor’s clothes and his manner when Policeman Stafford bethought him to search his pockets are positive evidences against him, and a few words from a specialist on insanity, coupled with a medical examination as to his insanity and its causes would supply evidence dough to place him behind the bars, either of punishment or more kindly medical treatment. Jack was sullen all the afternoon and refused to answer any questions. I called at the street car stables where he worked and found that he was unpopular, had little to say to other stable men or drivers and kept much by himself. His fellow workmen said they had never suspected him in any way connected with the throwing of ink. There was one piece of evidence to be gained here, however. Connors worked often at night and went off duty at half-past ten. It was between tis hour and midnight that some of the ink throwing was done. MAY KNOW MORE THAN SHE TELLS. The police believe that Mrs. Connors knows more about the business than she is willing to tell. But there is a great deal of sympathy felt for the poor little woman, and she will be let off as easily as possible. What was the motive for this uneditorial slinging of ink? The doctors say that there was probably none. It was a mania, and the books are full of parallel cases. One which may be remembered was the case of a young woman in Brooklyn who had a mania for pinching the arms of pretty women he met in the streets and then running away. Another case was that of a man who had a mania for indiscriminately kissing women in the street. The matter might not have seemed to strange if he had picked his victims from the youthful and attractive. Both are now in insane asylums. Connor’s lawyer put in a plea of insanity and asked for a mental examination. The police surgeon did not concur. The extremely surreptitious nature of the crimes and the large number of complaints—none from victims who could identify the perpetrator—is, again, a feature of these kinds of cases. Most ink-slingers did their dirty work in the dark or possessed such a light touch that they might as well have been invisible, which further panicked the public. As far as I can tell from census reports, Connors was working as a railroad laborer in 1900 and died between the 1900 and 1910 censuses. The Slinger produced a spate of copy-cats almost immediately. A tobacco-spitting rival was reported in July of 1890, while the more deadly “Jack the Vitriol Slinger” appeared in September of 1890, raising memories of the unhappy Dr. Horace Wells who was arrested for throwing vitriol on several New York prostitutes in a moment of ether intoxication and committed suicide under anaesthetic in 1848. Other Ink Throwers were found at Fort Wayne, Indiana in 1894; Morgantown, WV in 1903 and 1908 San Francisco. An insane ink-thrower was arrested in 1911 in St. Marys, Pennsylvania, while one who targeted fur coats roamed Springfield, Massachusetts in 1925. A Parisian Ink Maniac seems as though he would repay further study. Considering his large number of victims, Connors must have found it an expensive pasttime. And, where did he get the ink? I had thought perhaps he stole it from his employer, but aniline inks were not used for bookkeeping or official documents due to their tendency to fade. In the papers, at least, the tinted ink was most often associated with writers, particularly lady novelists and Oscar Wilde. 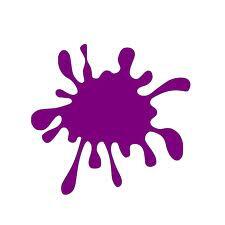 Which raises a question for the alienists: why violet ink?